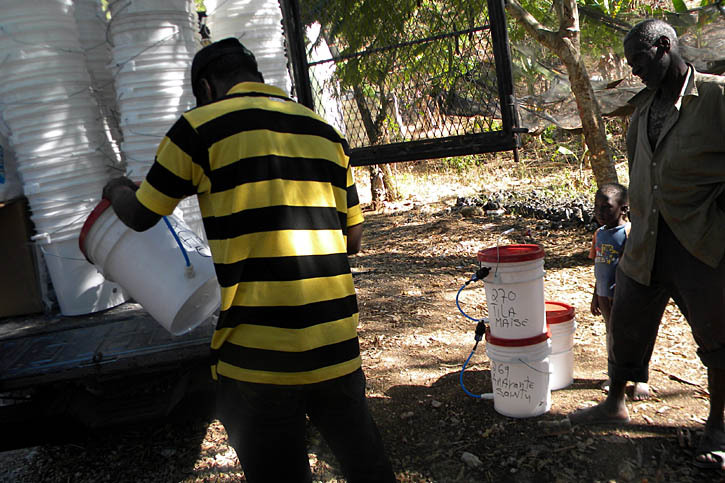 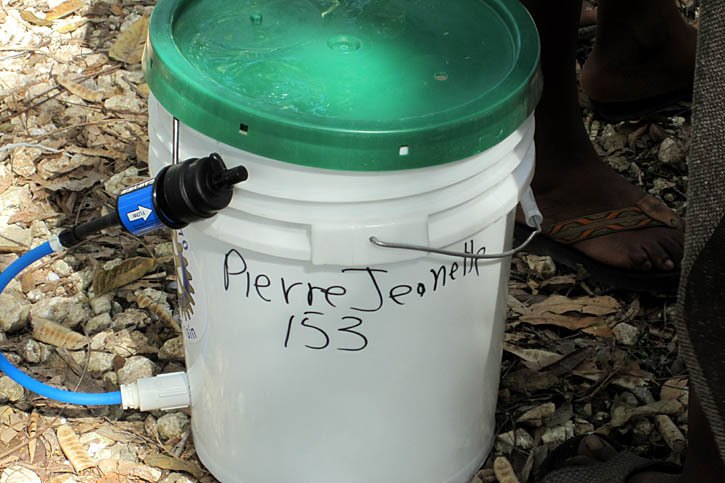 The lack of sanitary drinking water is one of Haiti's biggest problems. 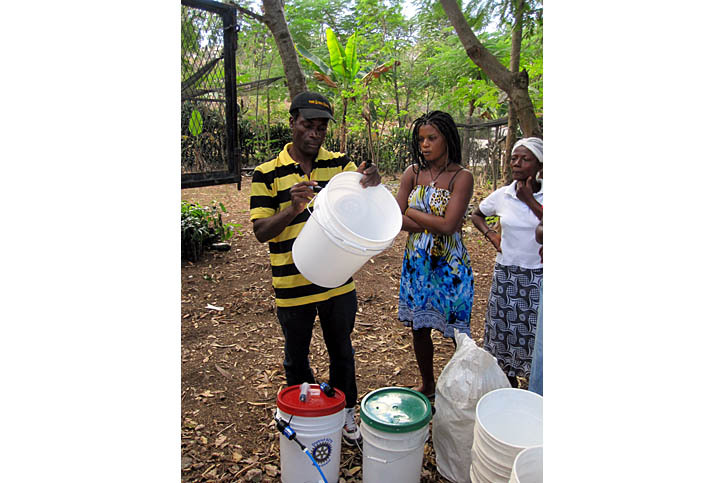 Most Haitians must rely on rainwater, or water taken from polluted streams that must be boiled before it can be used, for their needs. 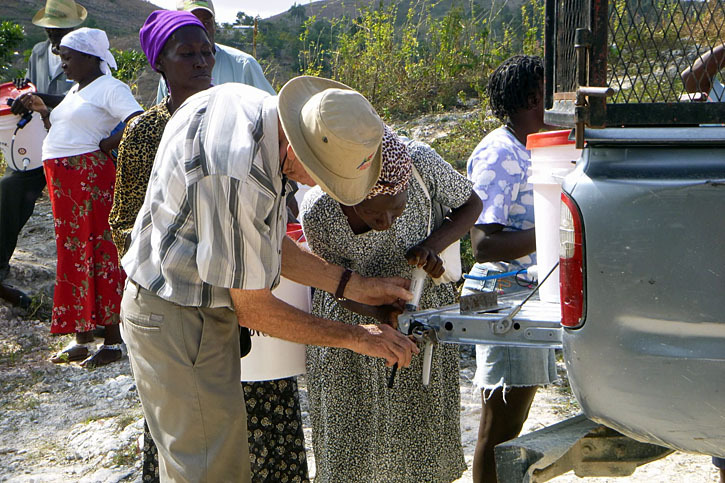 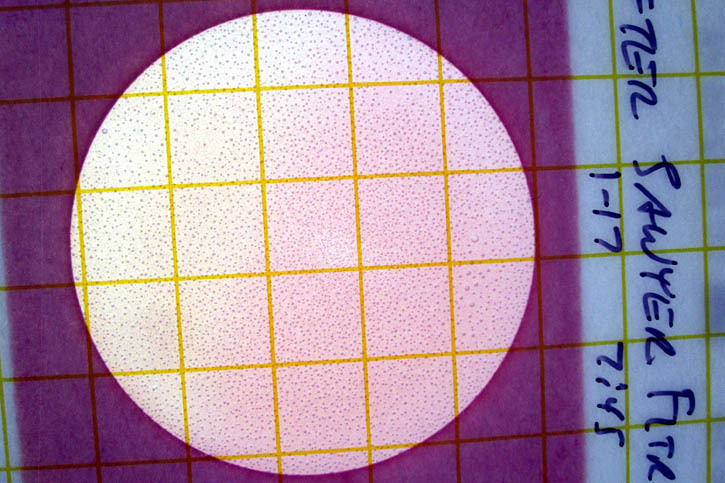 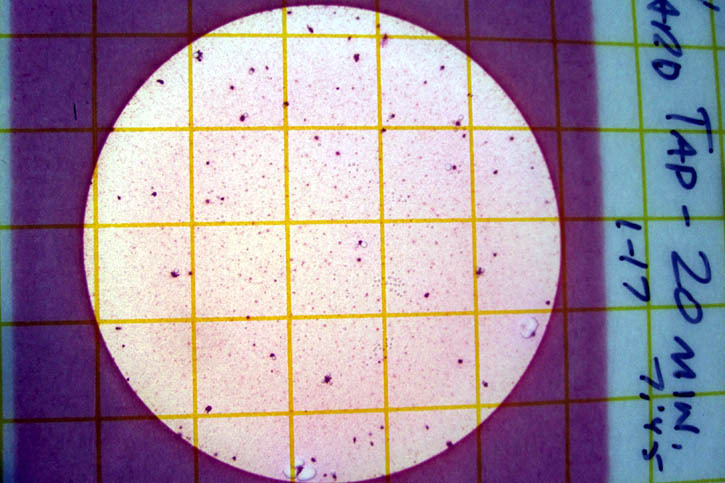 Others may walk 5 miles or more to obtain good, clean drinking water from drilled wells. 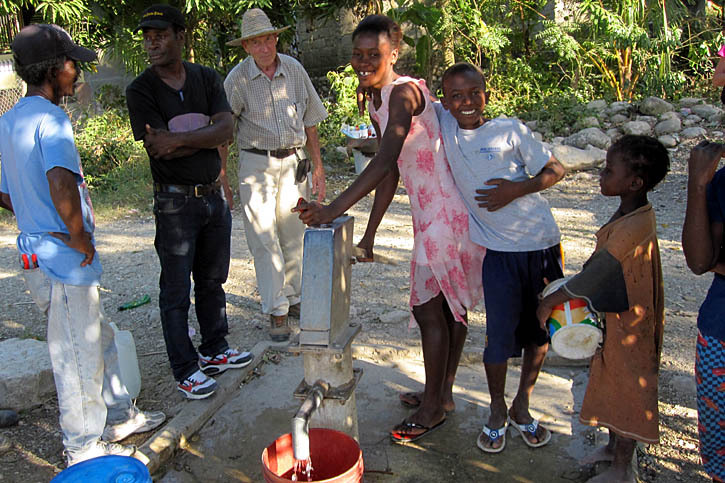 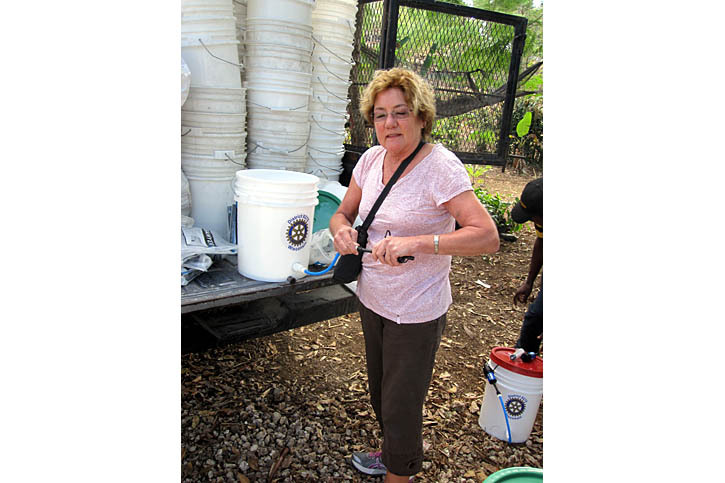 To that end, and with the help of Rotary International, VIP has helped install over 30 wells throughout Mirebalais, Haiti. 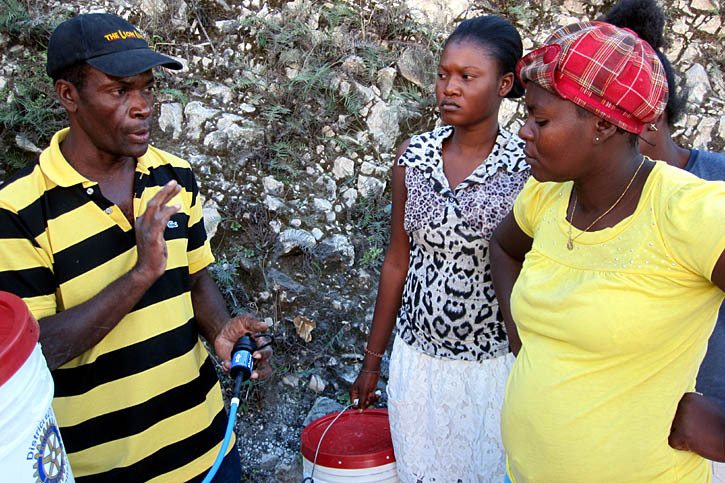 Good drinking water is a must if you are to raise healthy children. 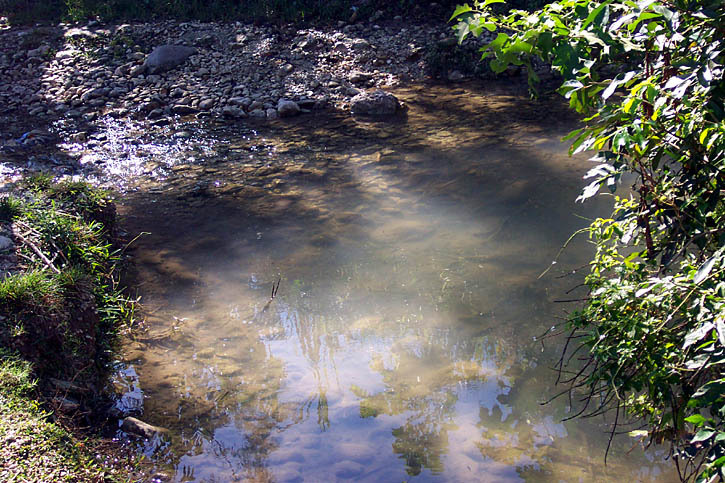 4-H clubs have made clean water a priority and have capped mountain springs to fill reservoirs for community use. 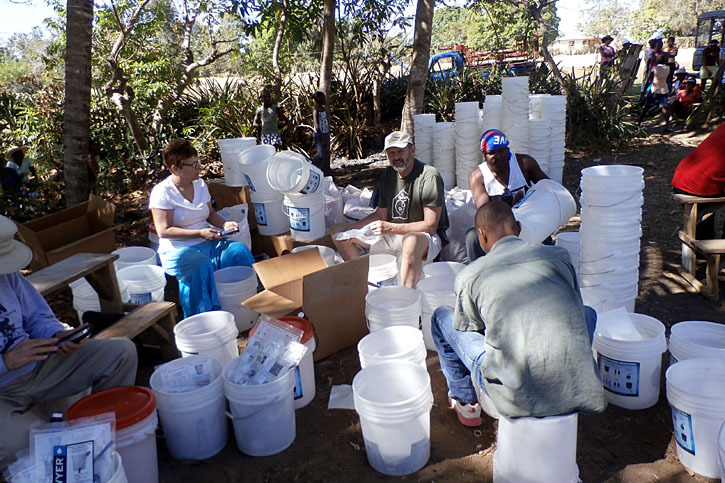 Ventures In People volunteers distributed over 600 filters in January 2017. 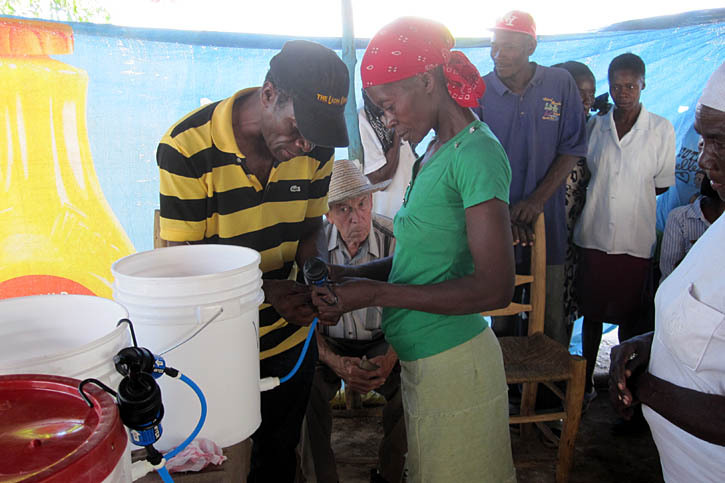 This enables between 3,000 and 6,000 people to now be able to drink clean water and prevent water born diseases. 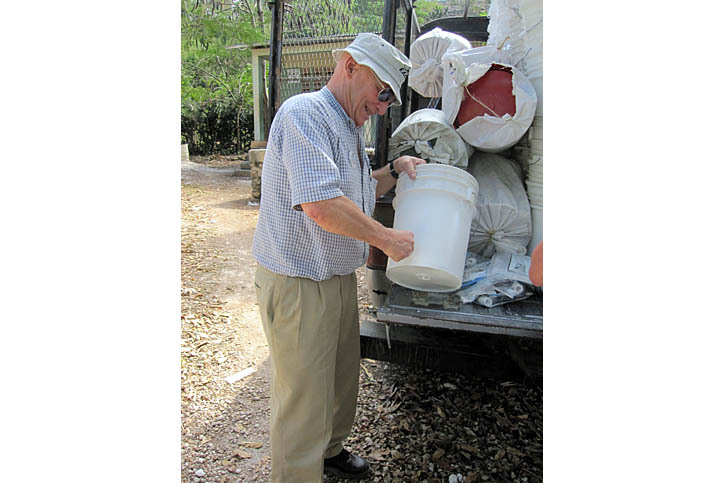 The goal for 2017 is to raise $21000 to be able to distribute 600 filters again in January 2018. 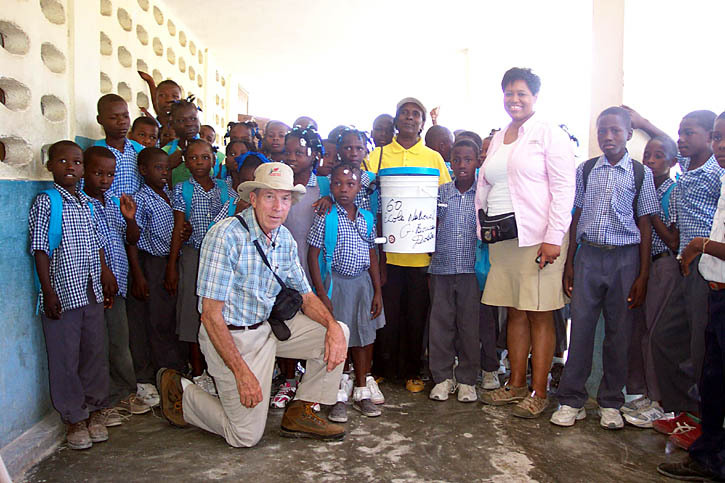 To find out more about clean water projects and VIP Haiti email us at cleanwater@viphaiti.org.